The clash between Argentina and Croatia will be played at Nizhny Novgorod Stadium in Nizhny Novgorod on June 21st. 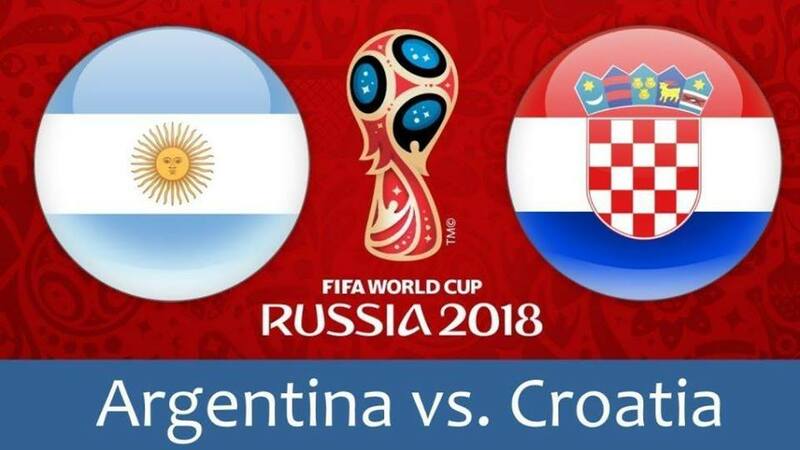 Argentina was stunned by resilient Iceland in the opener and dropped a couple of points, so they now are looking for a win, while Croatia routinely beat the weak Nigerians and would be satisfied with a point out of this game. After their disappointing 1-1 draw with Iceland, Argentina will be desperate to show the world what they can do and get their World Cup campaign back on track. Argentina legend and 1986 World Cup winner, Diego Maradona, expressed his anger at the performance against Iceland, as well as other fans in Russia and back in their country so expect the Argentines to have a much better plan for this match. The Albiceleste had even 26 shots on Hannes Halldorsson’s goal, seven of which were on target, but except for Sergio Aguero’s opener in the 19th minute, Argentina failed to score and defeat brave Iceland, disappointing the punters who backed them at -303. Leo Messi managed to miss the penalty kick in the 64th minute as the part-time film director Halldorsson saved it after reading Barcelona’s man intention to send the ball to his right side. Alfred Finnbogason’s equalizer in the 23rd minute helped the punters who had both teams to score at +120, which was the only way to make money on this game unless you were brave enough to back a draw at +450. On the other hand, Croatia began Group D with a firm 2-0 victory over Nigeria, and they will be favorites to qualify to the Round of 16 if they can claim a positive result here. The Blazers’ 2-0 win over Nigeria was widely expected, but they also had plenty of luck as Oghenekaro Etebofirst scored an own goal in the 32nd minute, while the captain Luka Modric converted a penalty after William Troost-Ekong’s poor defending as he put both hands around Mario Mandzukic and took him down in the box. Whoever backed Croatia at -143 made a nice profit, but the braver ones who bet on the -1 spread at +129 can be even happier. The Blazers didn’t show the intent of going forward after the second goal, so all of you who backed over 2.5 goals at +125 can only blame on Nigeria, while those who had under 2.5 goals at -135 turned out to be smarter. After an unimpressive performance against Iceland, Leo Messi must prove the world why he is considered as the best player of the century, so all eyes will be on him, and if he fails to score again, the critics will destroy him. Luka Modric had a commanding display and another one is expected from one of the best central midfielders on the planet, so expect Real Madrid’s man to run the middle of the park for the Croatians and own Argentina’s midfield. Argentina: Caballero; Salvio, Otamendi, Rojo, Tagliafico; Mascherano, Biglia (Banega); Di Maria, Messi, Meza (Pavon); Aguero. Croatia:Subasic; Vrsaljko, Lovren, Vida, Strinic; Modric, Rakitic; Perisic, Rebic, Kramaric; Mandzukic. Argentina’s chances to lift the trophy in Russia are +1100, while the Albiceleste are +100 to make it to the quarter-finals. Croatia’s chances to win the World Cup are up to +3000, while the Blazers are +150 to reach the quarter-finals. Argentina to win at +104 is a good option but only if you believe they can defeat such a strong opponent as Croatia, and considering Jose Sampaoli’s poor display in the opener against the weaker rivals, I am not brave enough to back Argentina, so I am going with both teams to score here.